This is the second post in a four-part series spotlighting bar exam-relevant databases. 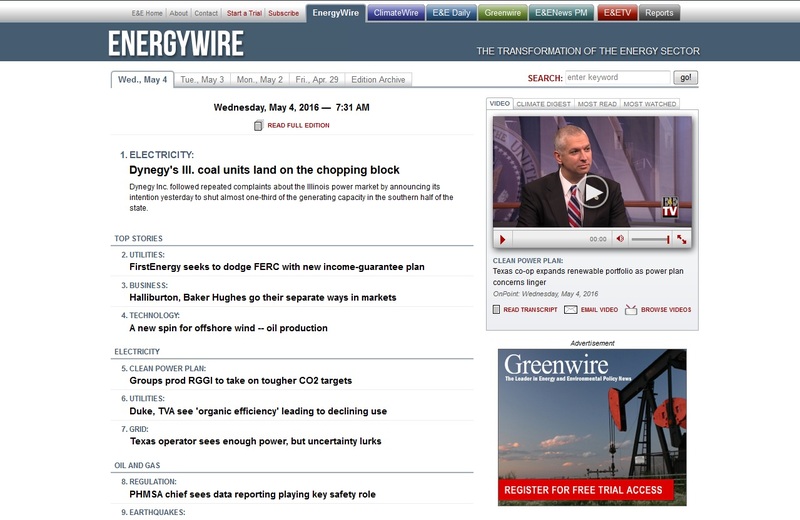 EnergyWire – Focuses on the business, environmental, and political issues surrounding the energy law industry. The front page feed also includes a topical Oil and Gas section, with articles about everything from oil and gas bankruptcies in Texas to a state proposed shale gas tax. 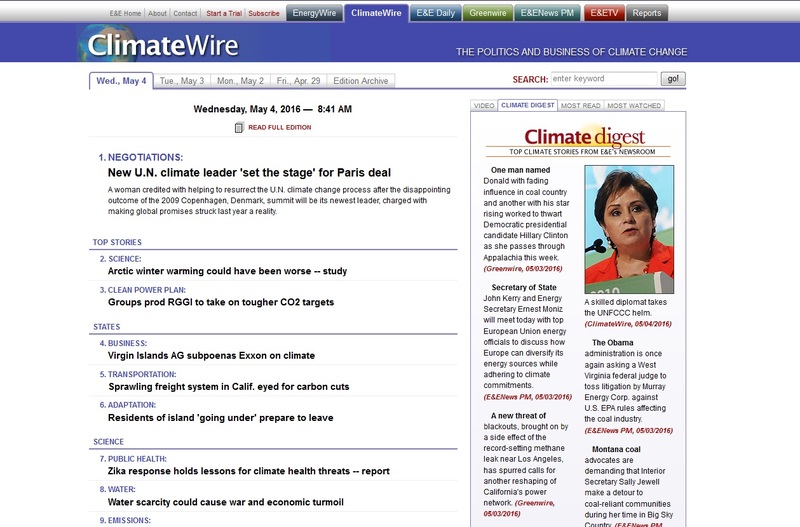 ClimateWire – Mirroring the setup of EnergyWire, ClimateWire provides an array of daily articles discussing climate issues and effects on business, the environment, and society. 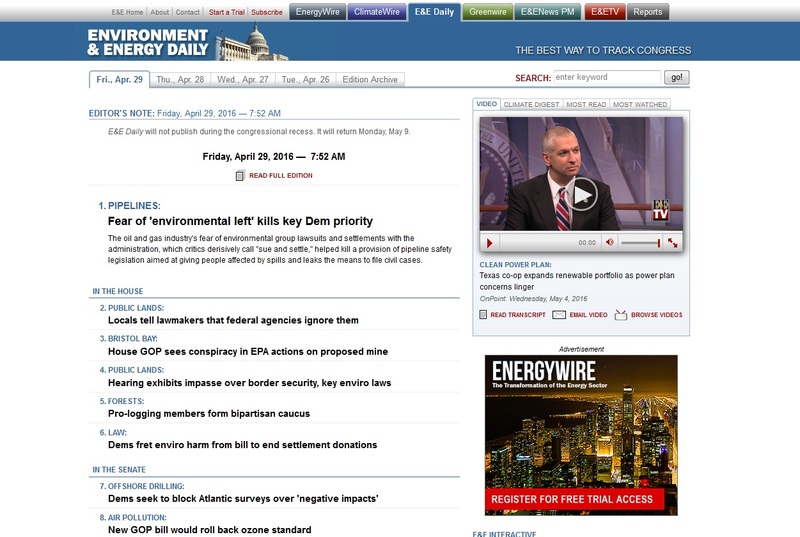 E&E Daily – From federal agency appropriations to comprehensive energy legislation, E&E Daily is the place to track their environmental and energy issues in Congress. 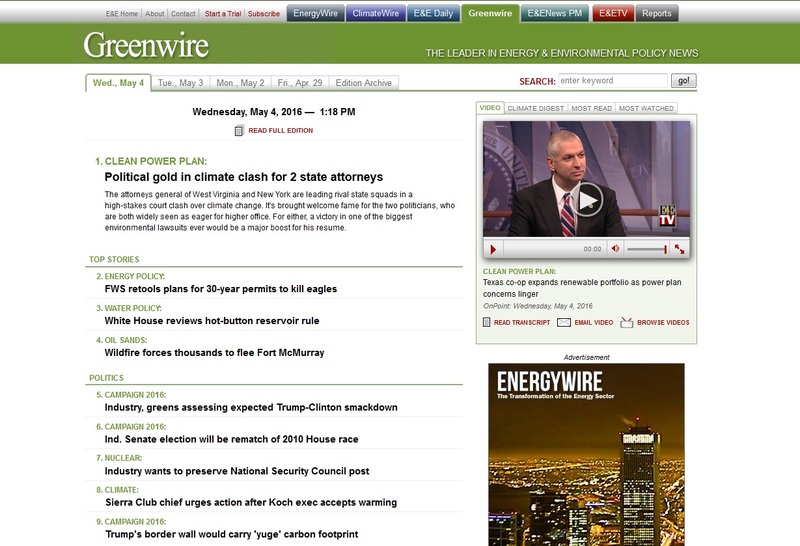 Greenwire – Greenwire, established in the 1990s as one of the first online subscription-based publications, covers a significant spectrum–from electricity industry restructuring to Clean Air Act litigation to public lands management. Although Oil & Gas isn’t a designated an entire section heading as it is in EnergyWire, Greenwire still provides significant coverage on the subject. 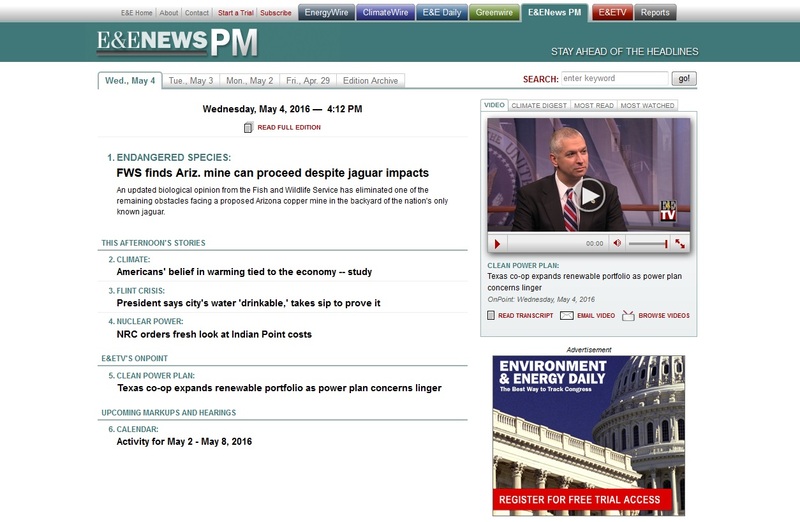 E&ENews PM – Although lacking in quantity as compared to other E&E Publications, the E&ENews PM is published every afternoon and includes all the breaking and developing policy news from Capitol Hill and around the world. Access to the E&E Publishing databases referenced in this post is available through the Texas Tech Law Library website, under the Electronic Resources tab.